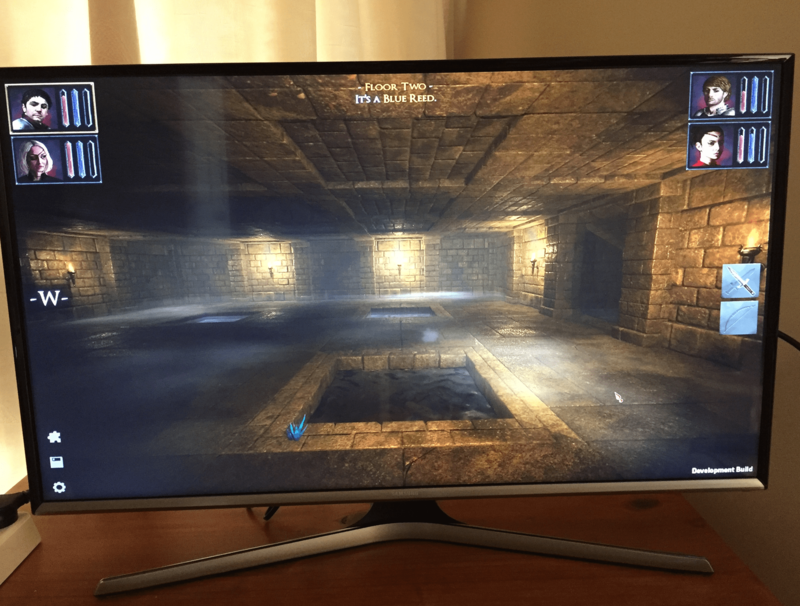 So I took this photo this past weekend when running a little play testing off of my Samsung TV on The Deep Paths for #screenshotsaturday. I think it’s pretty cool (despite the reflection of the door in the background). Enjoy.